Videocon, the Indian multi-national is a big name in the world of electronics. Now that the company has also entered the world of mobile phones, it was sure to make a name. Videocon has launched many economical mobile handsets in India. But now it has come up with a new surprise. 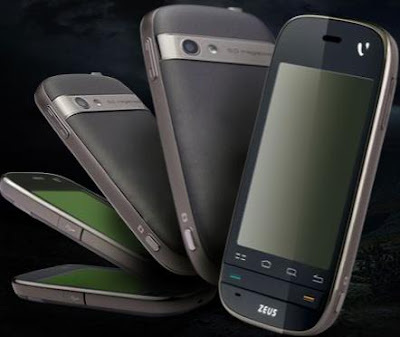 Videocon has launched an Android phone called as “Videocon Zeus” in the Indian handset market. There is a tide of Android based mobiles in India already and we need to check out how is this piece of gadget different and what’s new and cool about this Android phone. First thing that is quite phenomenal is that the Videocon Zeus price in India is just Rs. 12,900. Videocon Zeus that works on Android OS comes with a 3.2 inches multi-touch screen. This gives a real attractive look to this phone. Other interesting feature in this phone is its 5 mega pixel camera that makes it a perfect choice to capture the memorable moments of life. It is a boon for lovers of photography. It is a widely known fact and there are figures to support it that Android-powered have captured 17.2% market share of global smartphone market. There is lot of demand of such phones these days even in India. Major companies like HTC, Motorola, Spice and Samsung have already launched their hand sets powered by this unique application. The hand set let its users download more than 70,000 applications comprising stuff as games, music players and many other local services. 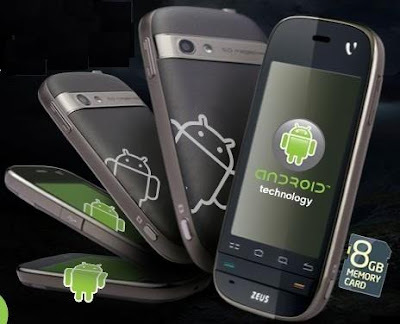 Many Android powered mobile phones are available in the market from companies such as HTC, Spice, Samsung and Motorola etc. and all have their unique set of features. Videocon Zeus is all set to give competition to all of them. The other advanced feature of Zeus from Videocon is its Wi-Fi capability.